Some pilots avoid towered airports, and for a variety of reasons — the increased amount of air traffic in the vicinity, the possibility of encountering wake turbulence from jets, and even a bit of "controller-phobia," the fear that making a mistake while talking to Air Traffic Control will lead to severe repercussions. However, there's little cause for concern in any of this. In fact, certified pilots should want to fly into towered airports on a regular basis, rather than simply getting the proscribed minimums out of the way during their Private Pilot training and never getting near Class D airspace again. For one thing, the ability to get in and out of towered airports increases flying flexibility, particularly if you plan to visit larger cities in the Pacific Northwest, or even more far-flung locations. Class B and C airports — such as Sea-Tac and Portland International — have complex arrival and departure protocols, and the controllers don't look favorably on general aviation pilots who want to land just for some "practice." However, there are a wide variety of Class D airports in the region, all of which use basic ATC procedures, even though the airports themselves have different characteristics. Some, such as Eugene and Redmond, handle a mix of commercial and general aviation traffic. 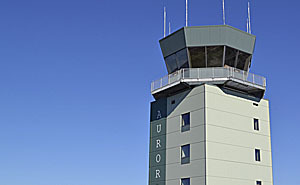 Others, such as Aurora and Hillsboro, are high-traffic environments due to flight training and corporate charters. And still other Class D fields, such as Salem and Troutdale, are relatively quiet, making them ideal for training, or even just some brush-up work. After some ground review and a little practice, towered airports become fairly routine — and in a lot of ways they're safer, and less stressful, than non-towered fields. For starters, pilots are required to maintain two-way radio contact with Air Traffic Control before entering, and while operating in, Class D airspace. 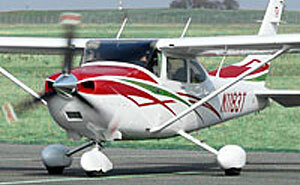 Pilots also cooperate with Air Traffic Control specialists for both air and ground operations. 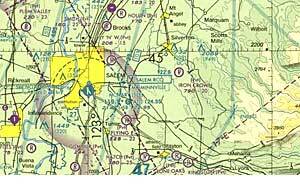 Some Class D airports, such as Eugene's Mahlon Sweet (EUG), have a surrounding Approach sector. At Eugene, it's Cascade Approach, and pilots will contact an approach controller before the tower. However, it's not as complicated as it may sound, essentially involving just one additional frequency change, or "handoff." Weather and airport information for arrivals and departures is disseminated by an ATIS (Airport Terminal Information Service) broadcast rather than the typical ASOS (Automated Surface Observation System) recording we hear at non-towered fields (most Class D airports maintain an ASOS as well). The ATIS is updated frequently, always with an alphabetic identifier. Pilots also need to be familiar with the operating restrictions of Class D airspace, which typically has a five-nautical-mile radius and a 2,500 ft. ceiling (AGL). Check your current Seattle sectional to review Class D ceilings at several airports. Pilots do not fly a standard traffic pattern at a towered airport, with a 45-degree entry to the downwind leg. Instead, aircraft enter the airport vicinity as instructed by ATC, reporting arrival on an assigned pattern leg and then accepting further instructions or a clearance to land. And finally, just because an airport has a tower, such does not mean that it's open 24 hours a day. When a tower is closed, the airport and airspace revert to non-towered status, utilizing both a CTAF (Common Traffic Advisory Frequency) for self-announcing and ASOS for weather information. Consult a current FAA Airport/Facility Directory (A/FD) for hours and alternate procedures at towered fields. As with all aviation activities, it's essential that the Pilot in Command has consulted all available information before departure. This includes having recent printed airport information, such as printouts from the AOPA members' website or a current A/FD or FlightGuide. Jot down radio frequencies on your kneeboard, especially the airport's Tower, Ground, and ATIS (as well as Approach frequencies if relevant). Be sure to have a diagram of the airport's runway configuration and taxiways. Don't land at a towered airport and have no idea what you should do next — radio frequencies, diagrams, and general airport information will make things go a lot smoother from touchdown to shutdown. Also be sure you understand all runway/taxiway markings and signs, which are more common, and complex, at towered airports than at non-towered fields. A black sign with a letter (such as "A") represents a taxiway. Yellow markings, such as runway boundaries and ILS critical-area boundaries, should only be crossed with caution. A red sign with two numbers (such as "16-34") means you have arrived at a runway, and that you should stop and consult ground control before proceeding (unless you already have been cleared to cross the runway). If you're not familiar with runway and taxiway markings, review them before flying to a towered airport. Pilots must contact the tower or ATC approach before entering Class D (or better) airspace. It's also good form to obtain the latest ATIS recording prior to this. If no ATIS is available, you can listen to the tower frequency for weather and airport advisories issued to arriving traffic. Be sure to inform the controller that you have heard the ATIS by identifying its letter-code, or — if you have heard advisories to other arriving traffic — that you have "the numbers." Failure to do either will compel the controller to provide you with complete weather and airport information, including NOTAMS, before your assigned pattern entry. This is both potentially time-consuming and a poor use of Air Traffic Control resources. "Aurora Tower, Skyhawk November 20488, over Newberg, inbound, with information Delta." "20488, report left downwind, runway three-five." "Will report left downwind, runway three-five, 20488." Note how the pilot precedes his/her tail number with "November," which designates that the aircraft is registered in the United States. This need only be stated once, upon initial contact with ATC. 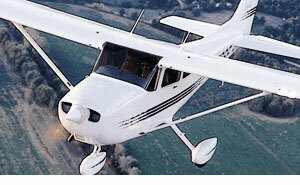 Be sure to include the aircraft type ("Skyhawk") rather than manufacturer ("Cessna"), as the specific aircraft type helps ATC determine the plane's speed relative to others in the vicinity. "Aurora Tower, Skyhawk 20488, left downwind, runway three-five." Note how ATC might abbreviate an aircraft's tail-number to the final three numbers. Controllers do this for efficiency, and if they are certain it will not create ambiguity with other aircraft. However, do not abbreviate your tail-number while in contact with ATC unless a controller initiates it. While on rollout, the tower normally will assign a runway exit and/or taxiway for you to use while clearing the runway. After clearing, you are then expected switch over to the ground frequency, although often (especially at less-busy airports) pilots will be asked to remain on the tower frequency while on the ground. If so, you will be told "remain on this frequency" before you exit the runway. "Aurora Ground, 488 is clear the active runway, request taxi to Willamette Aviation." "488, taxi to Willamette Aviation." "Taxi to Willamette Aviation, 488." If you intend to make a touch-and-go at a towered airport, you must request "the option" after you are cleared to land, but well before landing. If making a full-stop and immediate departure, after clearing the runway you should inform the tower (or ground control) that you would like to taxi to an active runway, and to which direction you are departing. Finally, if you are unclear exactly how to reach your destination on the field, you may ask tower/ground for a progressive taxi, or simply a "progressive." The controller will then guide you from your current location to your stated destination. If you're visiting an airport for the first time, or simply are unclear for any reason how to best taxi to your destination, do not be afraid to ask for a progressive. A controller would rather guide you safely through the airport enviroment than have you commit a runway incursion, or worse. "Aurora Ground, Skyhawk November 20488, currently at Willamette Aviation with information Echo, ready to taxi for westbound departure." "20488, taxi to runway three-five." "Taxi to runway three-five, 20488." After you have completed a run-up of your airplane and are at the active runway's hold-short line, switch to the tower frequency and state that you are ready to depart. The tower will then clear you for takeoff or hold you for arriving traffic. You also may be asked to "line up and wait" after arriving traffic has crossed the threshold but not yet cleared the active runway. If arriving traffic is near, but not critically so, you may be asked to "expedite" your departure, which you should not accept unless you can take the active runway and go to full-power without any delay. As Pilot in Command, you may decline a "line up and wait" or "expedite" instruction. The tower will then issue you further instructions after other traffic is completely clear of the active runway. "Aurora Tower, Skyhawk 20488, ready for takeoff." "20488, hold for landing traffic." "20488 will hold for landing traffic." "Bonanza 123AB, taxiway Alpha at Charlie, remain on this frequency. Skyhawk 20488, line up and wait." "Line up and wait, Skyhawk 20488." Skyhawk 20488 then takes position on the active runway, but does not depart. Only after the arriving traffic is clear of the runway is 20488 released by the controller. "Aurora Tower, 20488, currently two-thousand three-hundred level over Newberg, request frequency change." "Thank you, good day, 488." Note that requesting a frequency change once clear of Class D is not required, provided you are not immediately transitioning to Approach, or to another airspace that requires two-way radio communications. However, many Class D controllers prefer the request so that they may provide any traffic advisories. "Salem Tower, Skyhawk November 20488, one-thousand nine-hundred level over Brooks, departed Aurora, landing Corvallis, request transition." 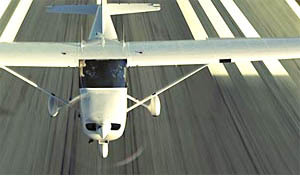 You are required to see and avoid all aircraft while in operating under Visual Flight Rules (VFR), no matter what class of airspace — please be aware that many Class D environments are not radar-equipped, which means that traffic advisories from the tower are simply estimates based on other pilots' location reports. The accuracy of your position reporting helps both the tower controllers and your fellow pilots within the airspace.